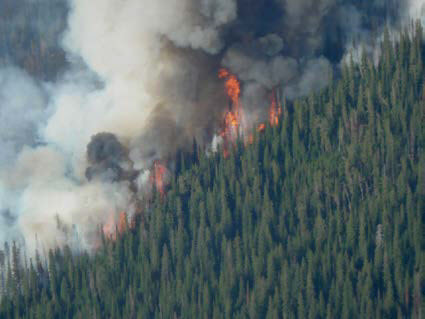 In the United States, an estimated 67,774 wildfires burned approximately 9,326,238 acres in 2012 alone. 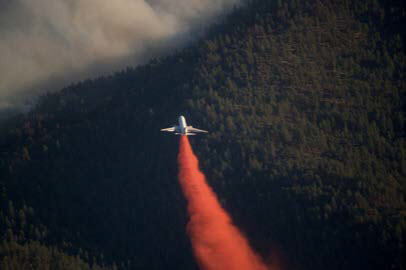 * To mitigate this number, teams of specialists country-wide -- from pilots of air tankers and helicopters to ground personnel such as Hot Shots and Smoke Jumpers -- are called to tame destructive fires that can destroy property and take lives. To prepare, hundreds of firefighters assess the situation and coordinate responsibilities with various crews using maps. However, the role in which information is relayed has changed slightly through digital means, enabling information of a quickly changing wildfire to be shared with those in its path. Still a fairly new concept for some, Banke and his team were introduced to Avenza Maps only a few years ago, allowing them to access maps and familiarize themselves with landmarks and fire breaks long before they arrive at a base camp. 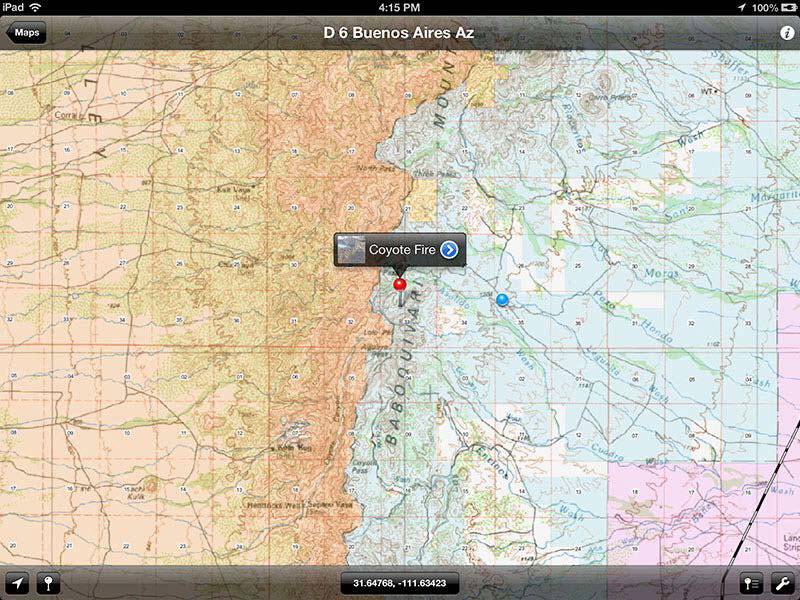 Once the Incident Management Team’s GIS Specialists create the initial map with a QR Code (Quick Response Code), an incident-specific website is assigned, and firefighters can download the latest maps to the Avenza Maps app and receive the most updated version. “We used to get our first look of the fire during the morning briefing when the paper maps were handed out, but now both air and ground personnel come to the briefing more prepared knowing what they’re up against,” Banke shared. While acting as a guide to water tankers and other ground personnel, Banke’s job also includes being cognizant of areas near water or where retardant drops could be harmful to certain species. 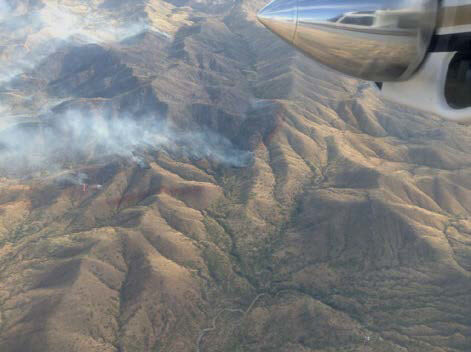 With the use of Avenza Maps, Banke can easily record a 1,800 gallon fire retardant drop with a simple touch of a pinpoint and include a picture and noted details to send back to biologists and GIS specialists monitoring the area. 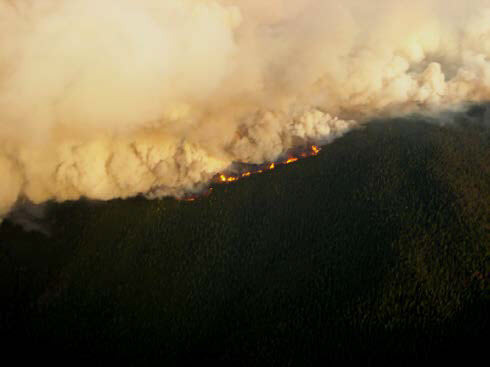 With ease, Banke can also quickly email copies of his findings back to base camp so that incident management personnel is aware of any wildfire shifts while Banke is airborne. Every year, air tactical workshops are conducted where people like Banke receive a refresher course on rules, regulations and training of new techniques and technology. Avenza Maps is now included in the training on important apps used out in the field.